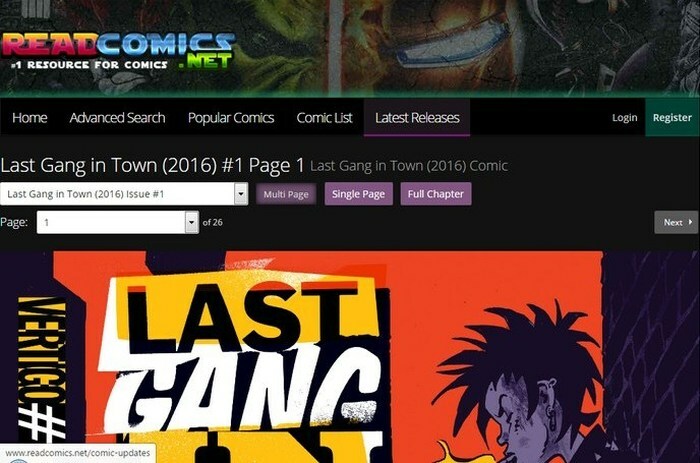 Want to read comics online? Reading comics is a thrilling experience. Only comic manics know the thrill of reading a comic and waiting for the new strip to get published. Comics were a huge entertainment back in the 80s and 90s, and almost every kid was crazy about them. Even now millions of people eagerly wait for next comic edition to arrive for their favourite comics. However, it can be a little expensive to buy printed copies of your favourite comics. You need to keep up with all the new editions of your comics, and each edition costs money. If you can’t afford to keep up with your favourite comics or just don’t like buying printed copies in today’s digital world, then you can also get comics online. Many good comic websites will let you download comics for free and even read comics online for free. 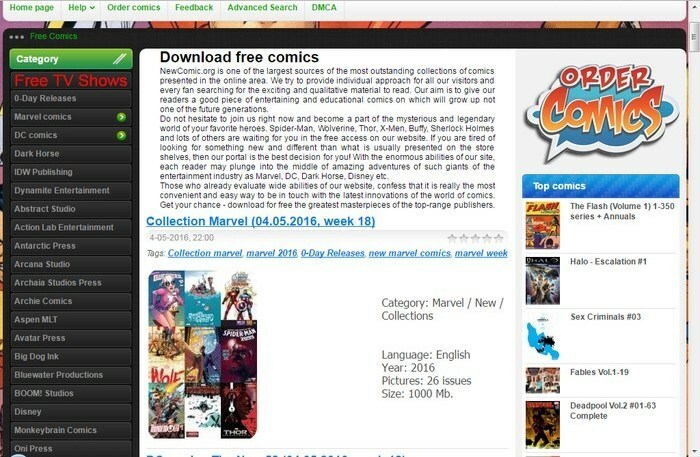 We have created a list of 5 best comic download websites, just explore them and see if you could find your favourite comics being hosted there. Gocomics is a great comic website to read comics online and share your thoughts on each strip. It hosts hundreds of comics and many popular ones as well, like Garfield, Calvin and Hobbes, Peanuts and FoxTrot, etc. 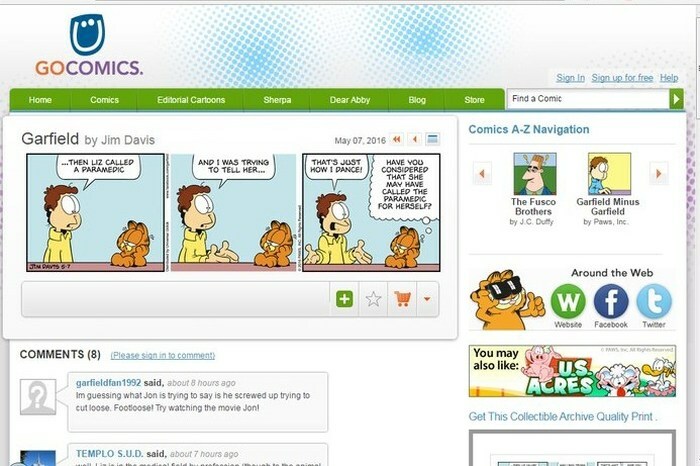 While reading your favourite comics, you can comment on each strip to get involved with other readers. The service is ad-supported, but you can go for Pro subscription to remove ads and get other benefits like full control over interface and updates, etc. Getcomics mostly focus on Marvel and DC comics, so if you are a fan of these comics, then this is the best place to go. You will have to download the full comic that are provided in CBR, CBZ and PDF formats. You can also find comics from other known publishers like BoomStudio, Archie, Dark Horse and few others. There is also a “Request” section where you can request your favourite comic (Marvel and DC) if it is not already available on the website. If you like their service, you can donate to help the cause. Comicsall is another great comic website to download comics from Marvel and DC. Although it also hosts other comics like Disney, BoomStudio, Archie, Dynamite Entertainment, etc., yet Marvel and DC get updated most frequently. 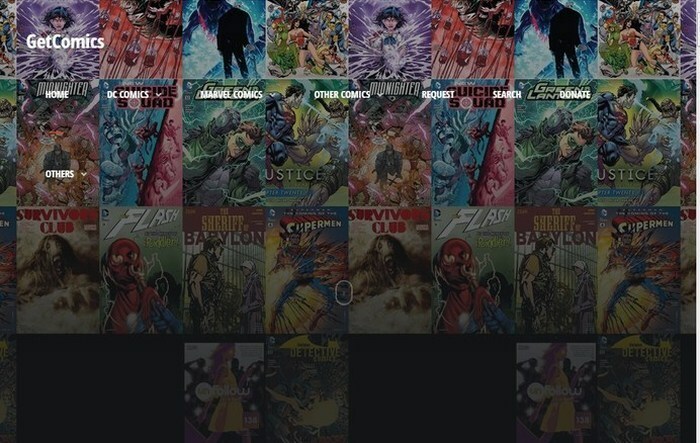 They have a database of over 15000 comics series, and it adds more than 20 comics every day, so you should be able to find the one you are looking for. Like many other good comic websites, Comicsall is also powered by ads. ReadComics is a very attractive comic website if you would like to read comics online instead of downloading them. It hosts an enormous list of comics and covers comics from almost every type. You may read comics online for free from a wide range of categories like Comedy, Action, Adventure, Supernatural, Sci-Fi, Military and almost every type you can think of. Series are also marked with “Completed” and “Ongoing” to know if you are going to read the one that is finished or still in process. Their comic reader is also excellent and lets you view the comic page-by-page or the full chapter. 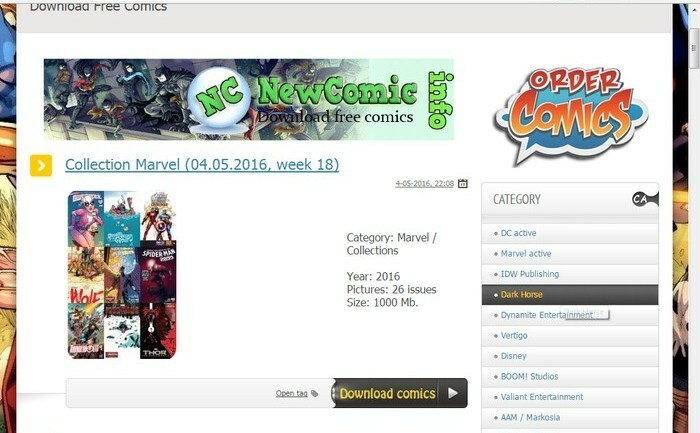 NewComic offers a very simple interface to find exactly what comics you need to download, and its massive database just makes things convenient. There is a big list of comic publishers on the left side, and clicking on each publisher opens up their main characters about whom you may like to open the comics. You can click on any character and all comics, including that character will be shown. You can also order comics if they are not available on the website. Just like most other good comic websites in this list, NewComic is also powered by ads, and you will have to deal with them. Comics can provide hours of entertainment and even in this world of the internet, and things have just improved. People are now moving more towards digital reading and comics are not left behind. You can use the above mentioned best comic websites to download and read any comic you need. You will be able to find old and new comics, even dating back to 1950s are there to be downloaded. In my opinion, Gocomics are the best for reading comics as they support both publishers and readers with subscriptions and ads. If you know any other good comic websites to download or read comic books online, let us know in the comments. Rahul, thanks for the awesome site list out there. But I found Getcomics more informative. Next: Electronic Signature in Word : How to Electronically Sign a Word Document?